The family behind Tieman Industries has retained ownership over a key part of the business. 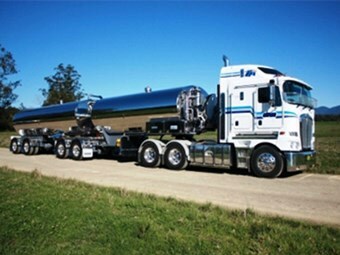 The Melbourne-based trailer manufacturer was placed into voluntary administration earlier this month, with restructuring consultancy KordaMentha charged with selling on its three distinct businesses: the bulk road tanker manufacturing; tail lift production; and a repairs and service offering. Last week, it reported the sale of the service business and fleet to Wastech Engineering. But the company has now confirmed the flagship tanker manufacturing business will stay in the family’s hands, with brothers Dale and Colin Tieman purchasing it as a standalone entity. "The Tieman family are pleased to announce that their 62-year-old tanker business has survived, saving approximately 90 jobs at Campbellfield in Melbourne," the company says in a statement. "The recent announcement [of the administration] has meant a most difficult time for all stakeholders and the Tieman family and the company wishes to move forward and support their tanker customers, associated industries and suppliers into the future. "The industry and customer support has been humbling and the new focus on a tanker-only business will assist in building stronger partnerships and alliances for mutual long term benefits into the future." It is understood, the third business remains for sale and is continuing to trade under the administrators. A representative of KordaMentha did not respond to ATN’s enquiry by deadline.